We've put more art into homebrewing. Five years ago, brothers Bill and Jim Mitchell's frustrations with homebrewing prompted the duo to create an entirely new beer-brewing process. Jim, a food chemist and physicist, desired to incorporate more control in the process of beer brewing on a small scale. Bill, having been building software, boards, and appliances for decades, knew this was possible. The two joined forces with engineer Avi Geiger and formed PicoBrew. A few years (and many pints of beer) later, the award-winning PicoBrew Zymatic was born. Zymatic improved the precision, repeatability, and overall quality of the beer-brewing experience and today is used by homebrewers and breweries all over the world. To date, the Zymatic has been awarded 3 patents, with over a dozen pending. Following Zymatic, PicoBrew looked to the best part of any brewing exercise—enjoying the final product! From this research, KegSmarts was born to bring the same level of precision, repeatability and quality to both the beer fermenting and serving experience. Together, the combination of Zymatic and KegSmarts enable a true craft brewery experience without the hassle and expense of actually building a craft brewery. PicoBrew's newest product, Pico, makes brewing beer at home so easy that anyone—even someone who has never brewed before—can create and enjoy amazing craft beer at home. With Pico, beer lovers can discover great craft beer from breweries around the world and brew it easily, customized to their taste, using quality ingredients. 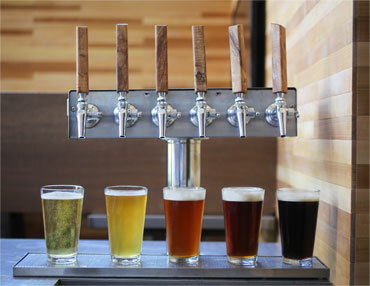 Beer is our passion, and enjoying fresh beer you brewed yourself is an incredible experience. To every beer lover out there, we say thank you and cheers! Dr. Bill Mitchell, a former Microsoft Corp Vice President is an experienced technology executive with several decades of innovation leadership under his belt. Bill founded and led many of Microsoft's early efforts in consumer electronics including Windows CE PDAs, smartphones, automotive and wearable computing, and helped pioneer Intel's early work in FLASH memory. Bill's a passionate father, home-brewer, pilot, dual-sport motorcyclist and sports photographer. He holds a Ph.D. in Computer Science from ASU. Avi has been defining, designing, and developing innovative and diverse hardware devices and systems for the last fifteen years. A lifelong tinkerer, Avi is always looking for new solutions to old problems and has filed 24 US patents. In twelve years at Microsoft as a hardware engineer and principal architect, he led numerous product and incubation efforts across the mobile and connected device space, including smartphones, tablets, PCs, input devices, and a wide range of underlying technologies. He's also developed innovative solutions for electronic funds transfer, security on cruise ships, rapid prototyping with new materials, making pasta, and holding up a pair of pants. Avi holds a B.S. in Engineering from Harvey Mudd. The first woman recipient (since 1983) of the American Homebrewer Association's prestigious Homebrewer of the Year award, Annie serves as PicoBrew’s Master Brewer-in-residence. A National Beer Judge herself, Annie has won awards for her beers across all of the major BJCP styles. She has contributed dozens of award-winning recipes to the PicoBrew recipe library and continues to pioneer new techniques and processes in the PicoBrew lab as she delights visitors with her many sample beers on tap. Born in Germany and encouraged by her parents who inspired her love of food and culture, Annie continues to brew with her old colleagues in California (and of course, support her Oakland A's) as she spreads the good word and good brew up here in the Pacific Northwest.